Zamen keeps a list of file types that should not be backed up. 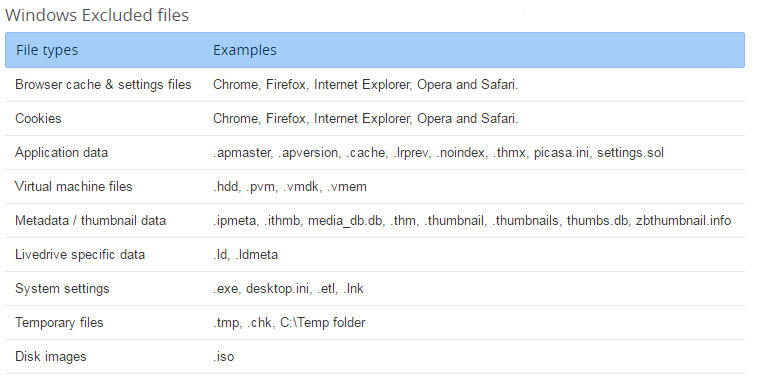 These include temporary, system and browser files. These files do not contain any useful information - excluding them means you only back up the things that matter to you.